There were two European and two British records set and five gold medals claimed by the Great Britain & Northern Ireland team at the IPC Athletics European Championships in Swansea on Friday, while it took world records to beat Jonathan Broom-Edwards and Sophie Hahn who added silver medals to the GB haul. 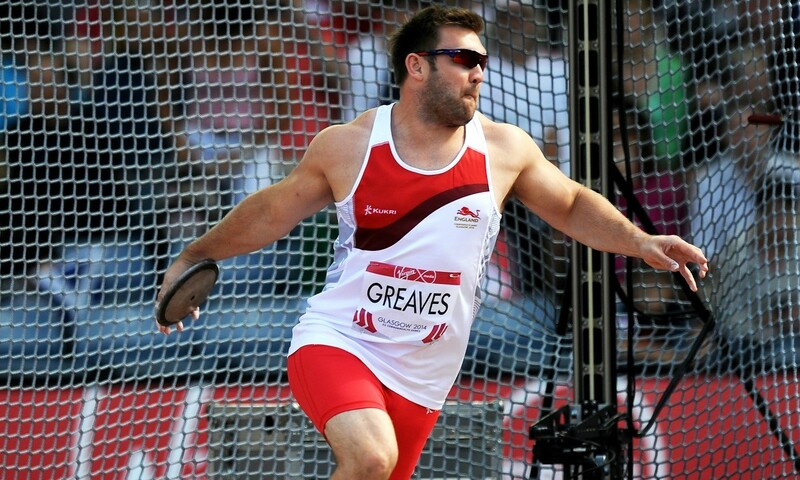 Fresh from winning F42/44 discus gold at the Glasgow Commonwealth Games, Dan Greaves also added the European F44 title to his 2004 Paralympic F44/46 gold and he did it in style, his winning 62.34m a European record to secure him the title ahead of Adrian Matusik of Slovakia with a 58.56m PB. There had been a battle between GB team-mates Joanna Butterfield, Josie Pearson and Gemma Prescott for the F32/51 club throw title but a European record of 17.68m for 1110 points by Butterfield sealed her victory ahead of Pearson’s 14.02 m for 941 points and Prescott’s 20.39m for 905 points. Their team-mate Abbie Hunnisett finished just behind them in fourth on her GB debut. “It’s all pretty amazing, this is all still pretty new to me,” said Butterfield. “To throw a European record with my first throw, I really didn’t expect it to turn out like that. I knew I was training well and I could get close to it. France’s Marie-Amélie Le Fur, Russians Margarita Goncharova and Andrey Vdovin and Poland’s Maciej Lepiato were the world record-breakers on the penultimate day of action – Paralympic T44 100m champ Le Fur clocking 1:01.41 to break her own 400m record set in France seven years ago. Vdovin ran 50.91 to break his own T37 400m record while Goncharova took a second off the T38 400m record with 1:03.40 ahead of Britain’s Hahn who broke her own UK record with 1:07.16. Lepiato beat Broom-Edwards in the T44 high jump – the pair both having bettered the previous world record mark of 2.13m held by Lepiato but the Polish athlete managing 2.17m to the Brit’s 2.15m UK record. Broom-Edwards’ silver medal-winning mark was a PB by five centimetres. Hannah Cockroft, Stef Reid and Moatez Jomni all grabbed a gold each – double world and Paralympic champion Cockroft clocking 2:15.16 on her T34 800m major event debut to take the title ahead of team-mate Mel Nicholls with 2:16.68 and Reid leaping 5.32m to take the T44 long jump title ahead of Le Fur, the Frenchwoman competing fresh from her 400m world record. Having initially crossed the line second in 52.78, Jomni was upgraded to T53 400m gold after the disqualification of France’s Pierre Fairbank. Bethany Woodward also added to GB’s medal tally as she clocked 1:08.57 for bronze in a T37 400m won by Russia’s Evgenia Trushnikova in 1:06.35.